Step away from the fried goods!!!! These are sooooo good I almost had to lock the fridge to stop myself "testing" all 6 of them! Get yourself a silicone doughnut mould and make these bad boys right now!! Mix up all your dry ingredients in one bowl and wet in another. Combine the two and fold until just combined into a thick mixture. Spoon the mix into a sandwich bag and cut off the corner to make a piping bag. Pipe the mix into 6 greased medium doughnut moulds and place into a pre-heated oven at 180°c for 10 minutes or until a skewer comes out clean. Let them cool in the pan before turning out onto a wire rack to cool completely. 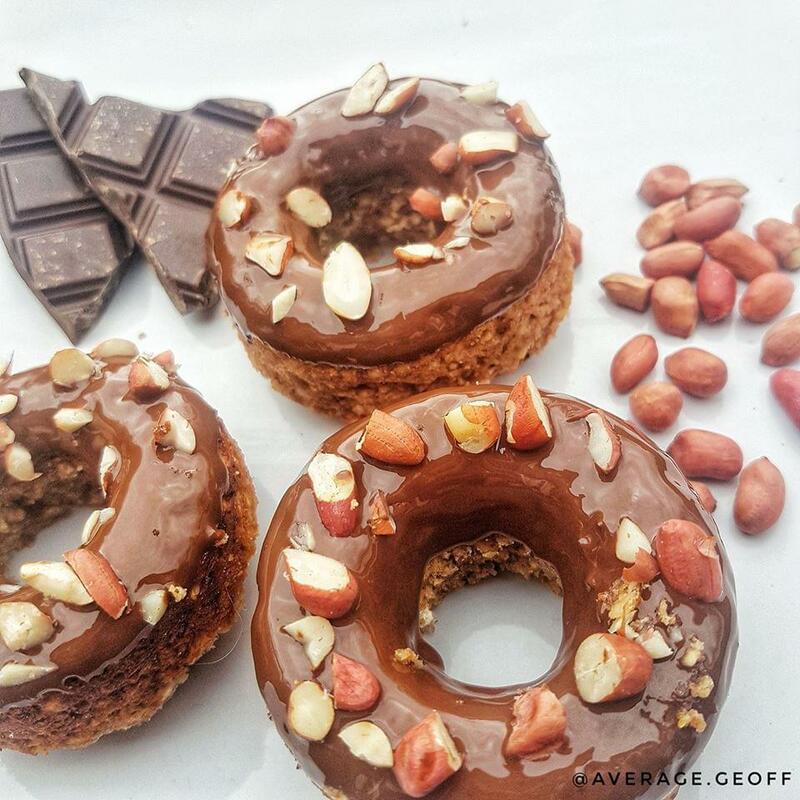 Microwave the frosting until melted and dip each doughnut in, topping with extra Peanuts. These will keep nicely in the fridge for 10 days.....try not to eat more than one a day! !